When best friends Clayton Garner Jr. and Greg Garner (who share a last name, but aren’t related) graduated from West Carteret High School together in 1989, they had no idea that 26 years later they would become business partners. 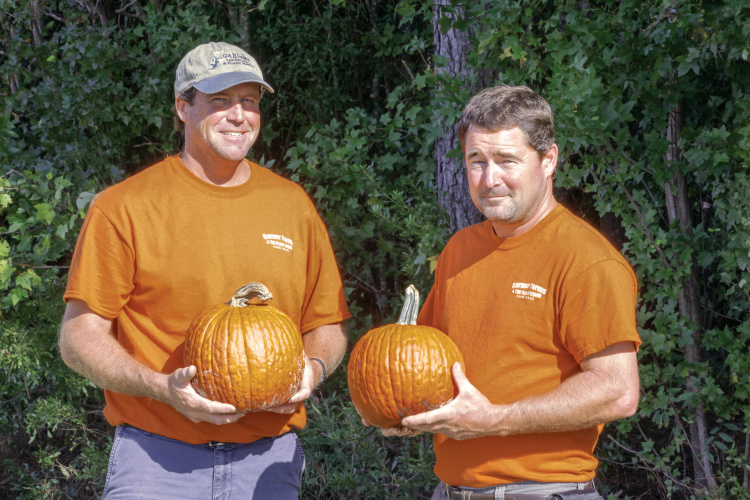 But that’s exactly what happened in 2015, when Clayton Jr., a third-generation row crop farmer, and Greg, who grows greenhouse plants and does landscaping, opened a corn maze and u-pick pumpkin patch in Carteret County along Highway 70 near Newport. After they graduated high school, life led the friends in different directions. Clayton followed in the footsteps of his father, Clayton Sr., and grandfather, Sam, and became a farmer, growing all kinds of produce – asparagus, strawberries, tomatoes, cucumbers, green beans, peas, sweet corn and more. Greg became a licensed landscape contractor and opened his own business, Garner’s Landscaping & The Plant Stand, a full-service landscaping company and retail nursery specializing in locally grown flowers, hanging baskets, veggie plants and herb plants. When Greg outgrew his former location, Clayton invited him to relocate his business to Garner Farms in Newport, which he did in January 2015. The merge created a destination for locally grown produce, flowers and plants. Clayton Jr. and Greg sell their vegetables and plants at their home stand at Garner Farms, as well as a satellite stand in New Bern and at the Olde Beaufort Farmers Market on Saturdays. 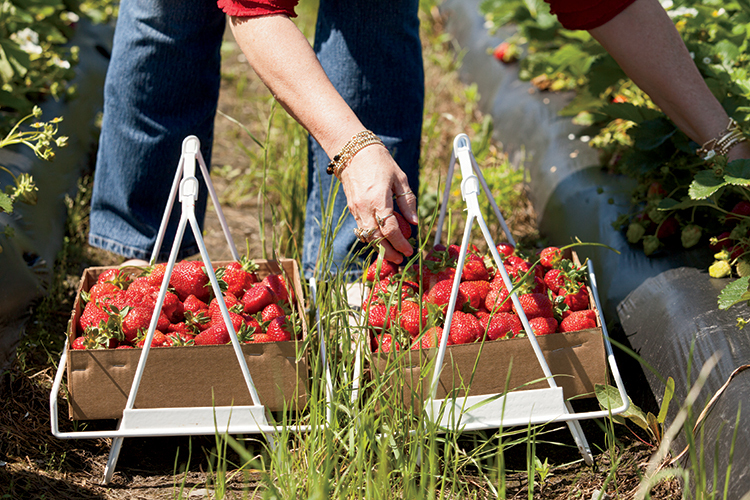 Customers can also pick their own strawberries in the spring. Their goal is to support one another and the agriculture industry they both love. The Easter event was so successful that the pair decided to open the farm to the public again in the fall, inviting people to come visit the u-pick pumpkin patch and get lost in a corn maze. 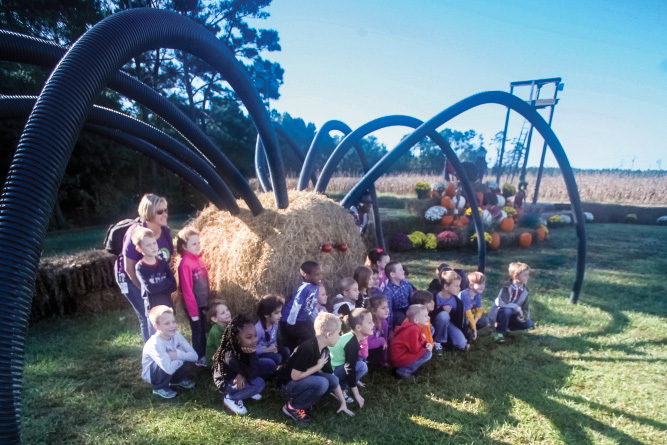 Garner Farms opened to the public from September through the first week of November in 2015. 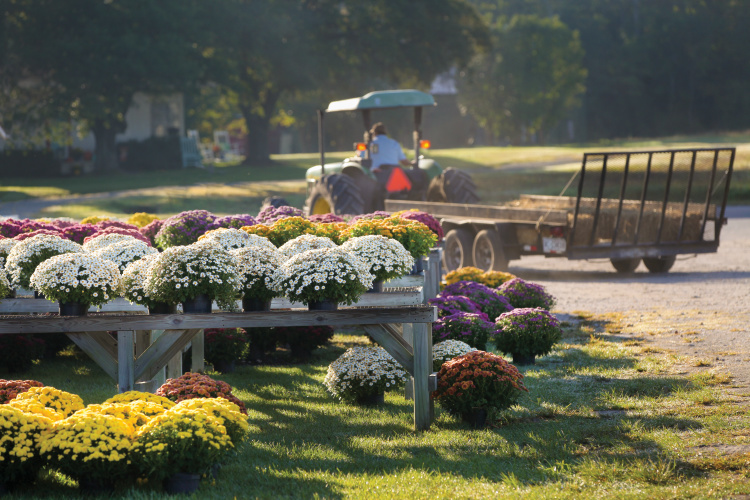 Greg grew 5,000 fall mums that were sold last fall too, and he fulfilled a lifelong dream. 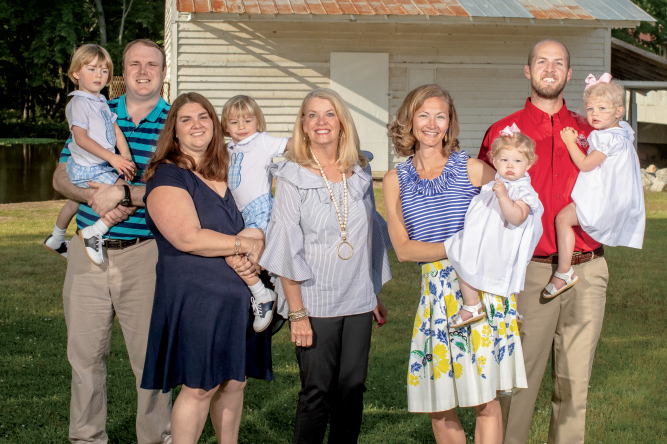 Clayton’s wife, Sherri, and Greg’s wife, Jacki, are also involved in the business. Sherri handles the office work and manages the produce stand on the farm. Jacki manages The Plant Stand and also works in the office. 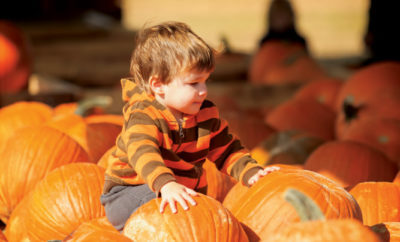 The two families are growing even more pumpkins for the 2016 season to keep up with demand. Greg says it’s rewarding to educate people about the life cycle of pumpkins and plants, and see them enjoy going on a hayride and spending time on the farm. 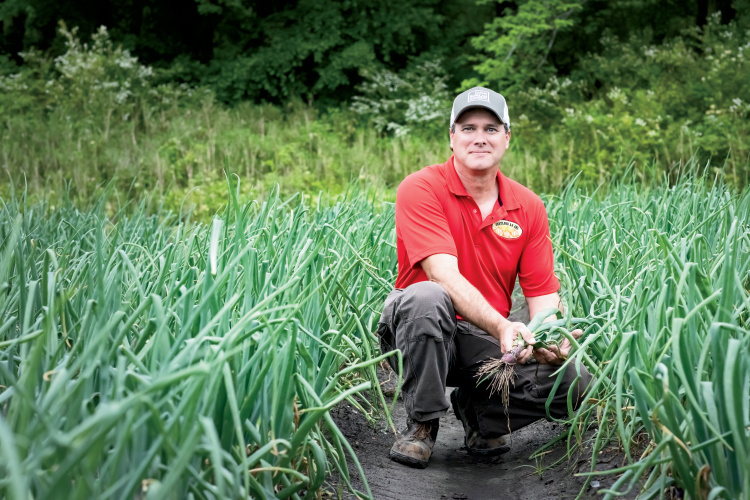 For Clayton, agritourism has been a way to add value to his farm. The Garners plan to make their fall 2016 season bigger and better. Garner Farms is located off Highway 70 at 173 Sam Garner Road in Newport. The corn maze and u-pick pumpkin patch will be open from mid-September through the end of October in 2016. The produce stand is open March through December, and The Plant Stand is open year round. 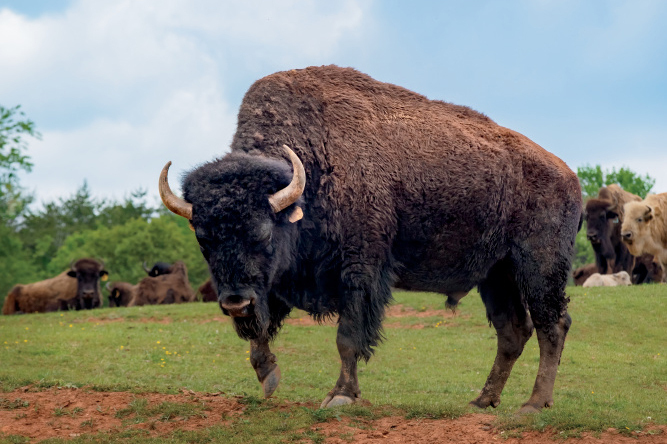 Call them at (252) 223-5283 or (252) 241-1184 for more information, or visit facebook.com/garnerfarmsnc for updates. 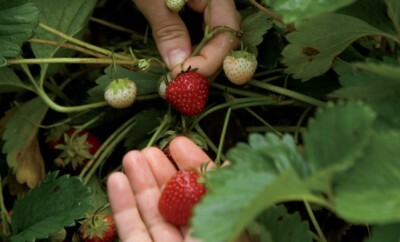 Visit ncfarmfresh.com to see more U-pick farms across the state. 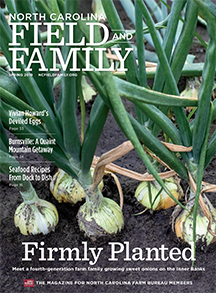 ← Previous Story How Are Families That Operate Farm Businesses Able to Work Together?